Ready for the easiest, yummiest sesame noodles you ever did have? Well, here they are! Really, after you get a pot of water boiling, this dish takes under 5 minutes to get to your plate. This is a cold noodle dish that goes well with so many proteins to make a complete meal. Try it with seared/grilled/roasted chicken/beef/fish/pork or sautéed tofu! Leftover protein in the fridge? Then your meal is almost instant! And definitely faster and better for you than Chinese delivery. Miso - a paste made from fermented soybeans and grains that is very popular in Japanese cuisine. It has a unique, rich flavor that can make good food great. You can buy a little tub of it and enjoy it for weeks or even months as you only need a little at a time for awesome flavor. It comes in many varieties from dark to white. Darker misos generally are fermented longer and will have stronger flavor than the lighter ones. This paste is super versatile, making appearances in soups, sauces, salad dressings, marinades, and even sweets! 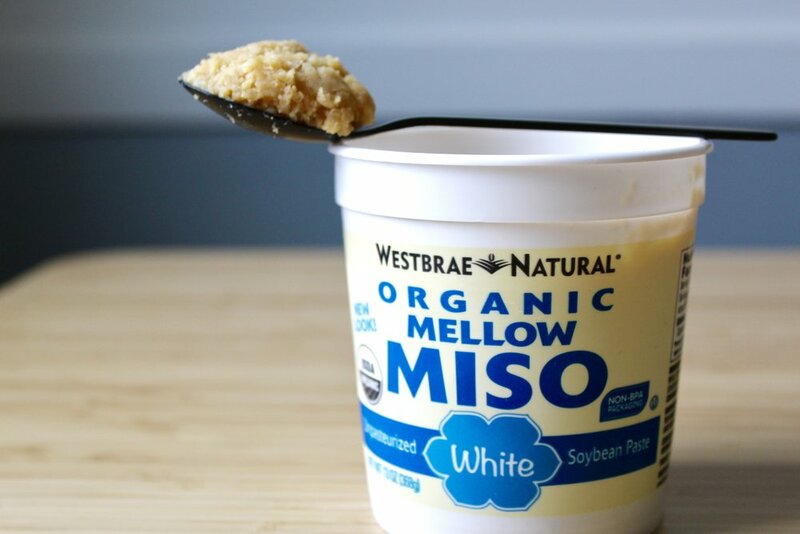 Miso is a great source of probiotics. Soba noodles - thin linguini-like noodles made wholly or partially with buckwheat flour, and another Japanese favorite. These noods are brownish in color and have more nutty, earthy flavor than white pasta. They take just a few minutes to cook, so watch them carefully to enjoy quick and delicious, not mushy noodles. Usually these guys are enjoyed in a cold salad or in a soup. 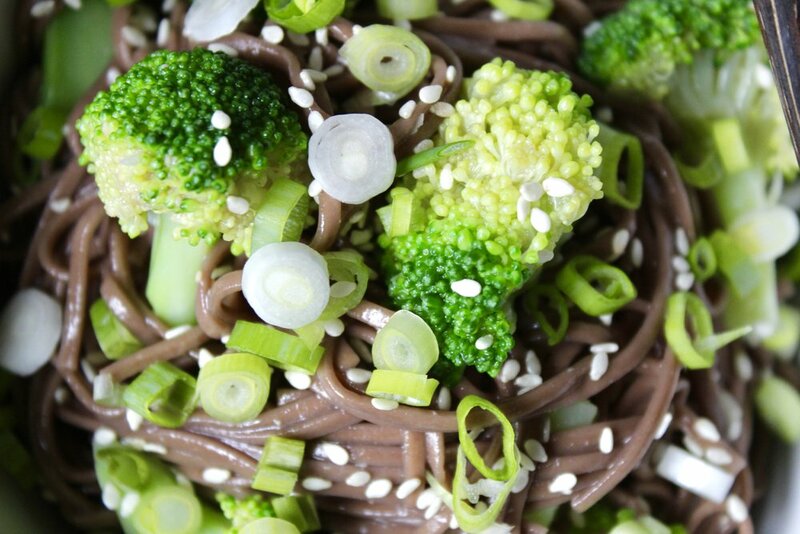 Soba noodles tend to be higher than white pasta in fiber and protein due to the buckwheat flour used to make them. Sesame oil - literally oil made from sesame seeds. It has a strong, recognizable toasty, nutty sesame flavor that is characteristic of dishes like this one. It's very popular in Asian cuisines. 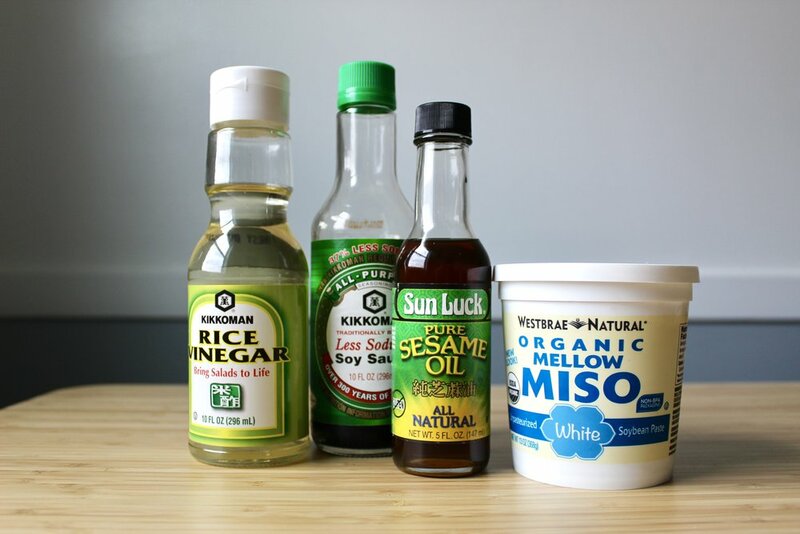 Rice vinegar - another Asian cuisine staple, this punchy vinegar adds bright acidity to tons of popular Asian dishes. If you haven't had it before, you actually probably have, but didn't know it. Soy sauce - you know the deal. The regular ones are super high in sodium. Try the lower sodium kind and you probably won't be able to go back to the full salt one without feeling like a pickle. Maybe these all aren’t your fridge or pantry standbys, but seeking them out is totally worth it. They are very easy items to work with and can make you at home a dish you thought you could only get in a restaurant. These noodles make a great quick meal when paired with a protein food like meat, fish or tofu, and are awesome as leftovers too! They have such a bright, strong, and lovey sesame flavor- it’s hard to get enough of them. This is a recipe you will likely make again and again, I am sure of it. Enjoy! Bring a medium pot of water to a boil. (This happens much faster with the lid on) Add soba noodles to the water and stir well for even cooking. Set the timer because the noodles need a mere 3 minutes to cook- and you really have to follow this or else they become no fun and mushy. After they have cooked 2 minutes, add in broccoli florets and stir well. Let all cook for just 1 minute more, then pour into a collander and rinse well with cold water to stop the cooking. While the pasta is cooking (or before if you feel more comfortable) mix together the miso, rice vinegar, soy sauce, and sesame oil. When noods and broc are done, toss in the sesame mixture to coat everything evenly. Doing this in the same pot used for cooking makes things easy. Serve cold and garnished with scallion and sesame seeds. Extras will save for a few days in the fridge. Note: When you buy a package of soba noodles, they come in little bundles; they aren't usually loose like spaghetti in the box. 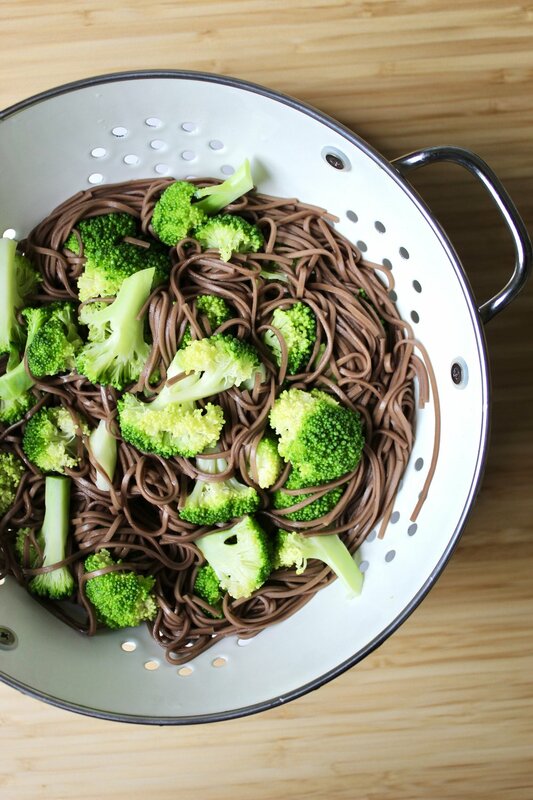 If you don’t have access to soba noodles, you could use regular spaghetti or linguini. It will have to cook longer though of course. Still add the broccoli for the last minute of cooking. If you don’t have miso, you could just leave it out. The dish won’t be the same, but it will still be yummy. Use regular, and not seasoned, rice vinegar. This is important. Scallions = green onions.